Hello! One of Ohh Deer’s illustrators here, Amy Lesko! I often get asked where I source my colors and how I go about using them. Having come from a very pastel background wayyyyy back in the early days of doodling, I like to think i’ve expanded in my choosing of the spectrum. I’ve embraced my love of bright tones and banished the fear of using an actual saturated color! Yes it can be done. It all starts with getting a nice selection of colors that work for you. Instagram - Head on over to your “Post You’ve Liked” section in your settings and see what’s there! Without even knowing it, you usually gravitate to certain colors - you have a palette waiting in the wings and you didn’t even know it! Pinterest - Oh how we love Pinterest! Who doesn’t?! It’s a platform BRIMMING with inspiration! 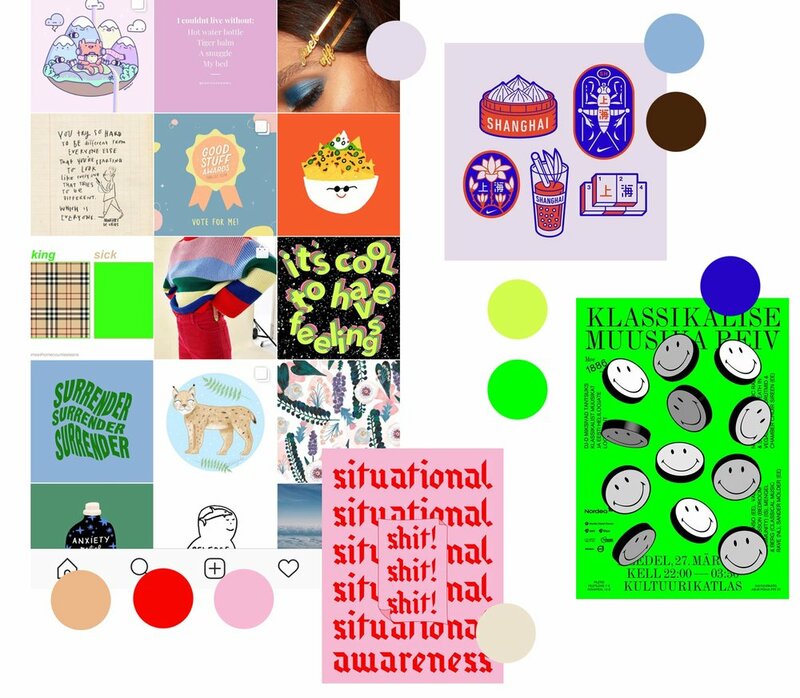 Creating boards is ace because you can keep everything in one place and much like your Instagram likes, themes start to form. 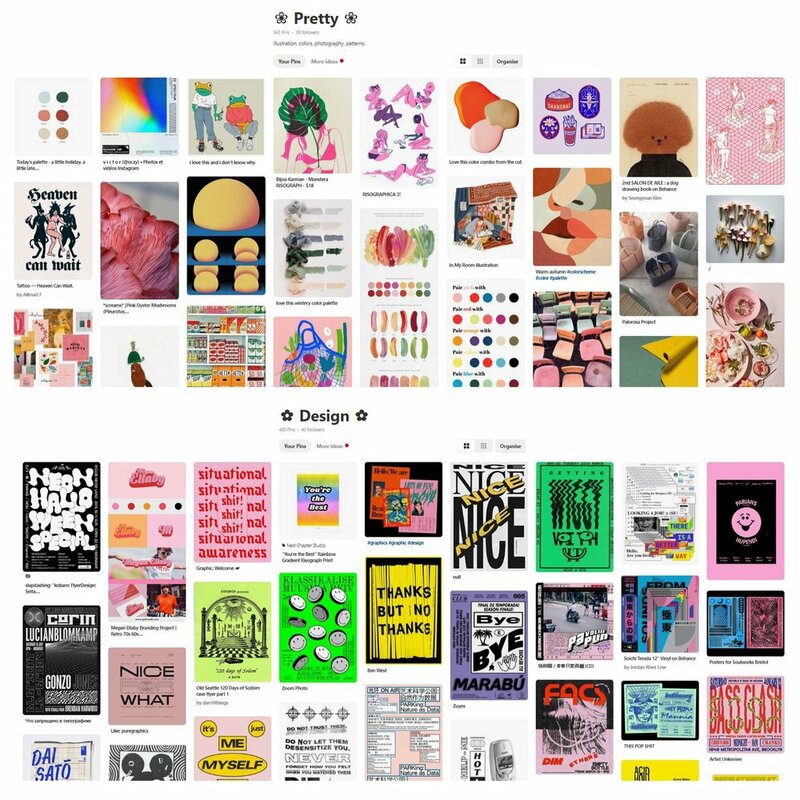 I mainly swatch from my “Design” board to get some killer neon tones, and my “Pretty” board for a softer approach. Camera Roll - Literally your life. Sometimes you might make little albums here or there, and if you’ve used the same filters / apps to take your photos in, some niceness will start to appear! If you went to Bali you’ll have 10000 tropical tones. If you went to Copenhagen you’d have bright little houses mixed in with natural hues. Many illustrators and designers have different ways they go about swatching. Some copy and paste certain images of their liking, others (much like myself) just screenshot the whole area as it’s just a massive playground. 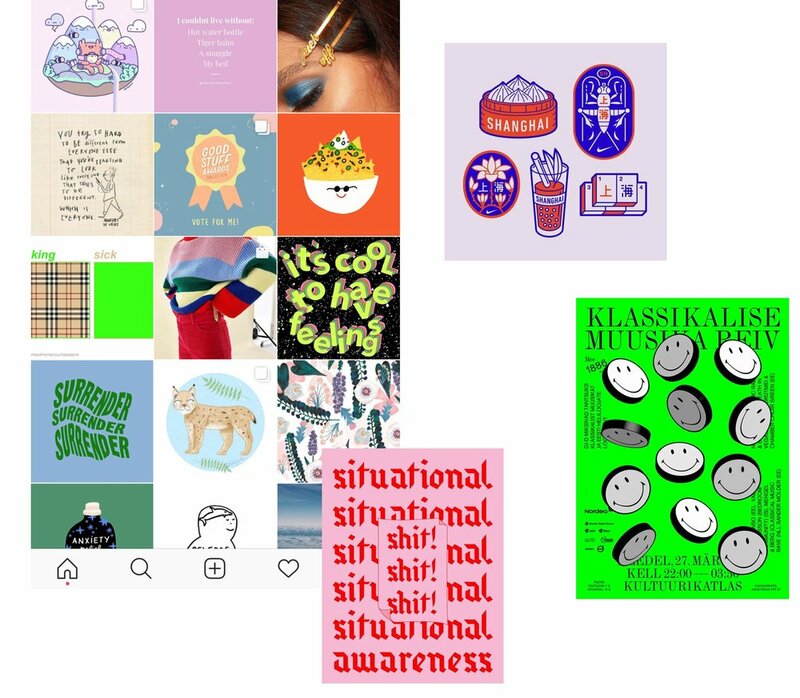 Below is what I’ve taken from my boards and Instagram! 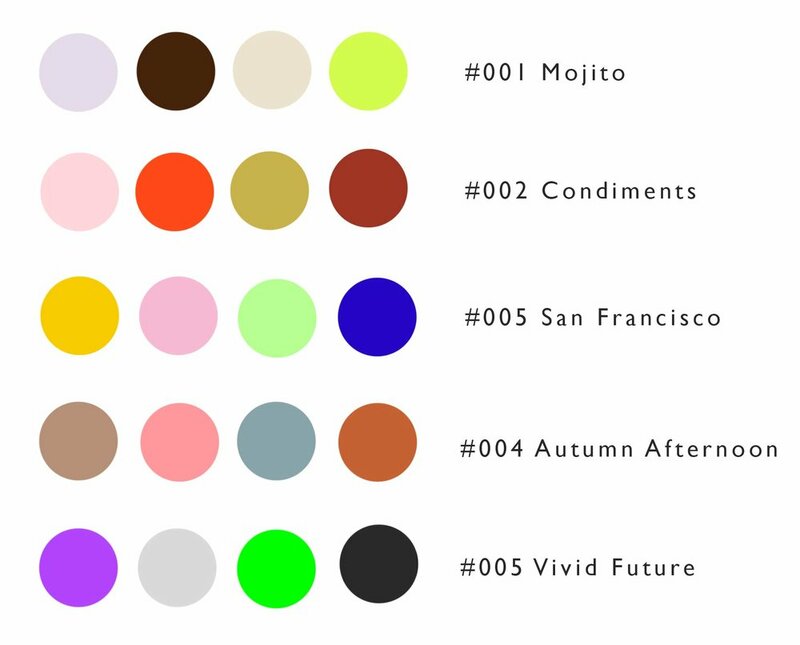 The best way to swatch is on good ol’ Photoshop but if you work more with media, hell, Microsoft Paint will work fine! I find it’s important to not just get the colors that stand out to you the most, make sure you get some lights / darks and more muted tones. They always come in handy in the future! Also, don’t just stick to the block colors you find, head into the photos; that lovely peach tone is a skin swatch, the brown is a fleck of hair! Hue - This is what changes the colors the most, the badboy of the sliders as it were. Hey look, now we have a pretty groovy orange! Lightness - Why stop at just the hue? Now we can play around with the light and dark aspect of the spectrum. Here i’ve just lightened the colours, producing some pretty sweet pastels! Saturation - Oh BOY! We got something good, look at that yellow! The saturation is what makes colours “pop”. Think England on a rainy day = low saturation. 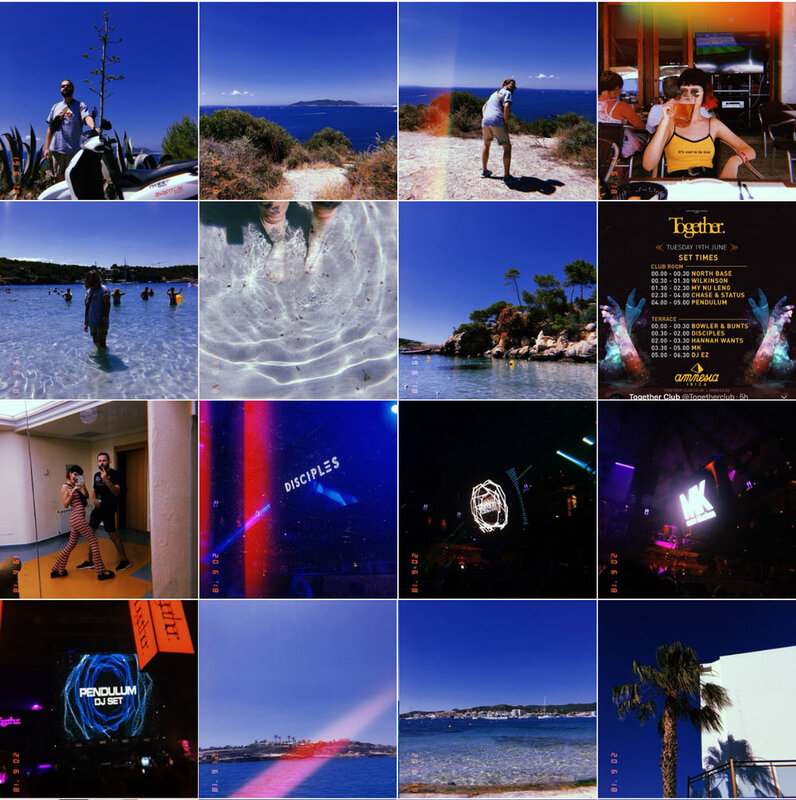 England summer 2018 = high saturation. Delicious. It’s all groovy making a nice selection of colours, but can we actually USE them?! Remember what I said earlier about lights and darks, well they will come in handy now! I bet you’re thinking “but Amy, these are not the same colours!!”. And you are correct! You know why? Because your palette is a starting point, along the way these minor tweaks and changes bring everything together. Within different surroundings a colour will look mismatched to when it’s on it’s own. It’s very rare that you will end with the exact colors you started with and that’s okay, it’s a wild ride! Well I couldn’t leave you empty handed could I? Nah ah! I’ve popped some palettes below, and if you like them, simply copy and paste them into your program of choice and eyedropper away!